The Higher Education Act of 1965 (HEA), as amended by the Higher Educational Opportunity Act of 2008 (HEOA) which signed into law on August 14, 2008, mandates colleges to provide disclosure and reporting requirements in a variety of formats. A disclosure requirement is information that we distribute or make available to another party, such as students or employees. A reporting requirement is information we submit to the U.S. Department of Education or other agencies. Sometimes disclosure and reporting requirements overlap. Some topics require the college to make information available to students as well as submit information to the U.S. Department of Education. Therefore, this web page documents that Pierce College attempts to meet these disclosure and reporting requirements. In accordance with the Higher Education Opportunity Act of 2008, Los Angeles Pierce College is providing all current and prospective students and parents with this Net Price Calculator (NPC). The NPC will provide you with an estimated net price for attending Pierce College based on the student's individual circumstances. Los Angeles Pierce College Institutional Research Office provides information such as but not limited to student enrollment, student characteristics, transfer information, majors and programs. For additional information, visit the Office of Institutional Research. Documents related to accreditation are available for viewing or download in Adobe Acrobat Portable Document format at the Los Angeles Pierce College Accreditation web site. If you have not yet registered to vote, go to the Online Voter Registration website to register now. Federal regulations require that colleges set standards that you must meet in order to be eligible for financial aid and to keep it from one academic year to the next. Even if you have never applied for or received financial aid, your overall history in college will be reviewed before you are awarded financial aid to make sure you are meeting these standards. To be eligible for aid, you must comply with all standards regarding maximum timeframe, completion rate and cumulative grade point average (GPA). These standards apply to the Federal Pell Grant, Federal Supplemental Educational Opportunity Grant (FSEOG), Federal Work-Study (FWS), and Federal Direct Loan Program, Cal Grant Programs, Full-time Student Success Grant (FTSSG), California College Completion Grant (CCCG), and any other Federal and State programs that may be required to follow these standards. For more information, please read the Satisfactory Academic Progress Policy in the Award Guide. Verification is a process by which the Financial Aid Office compares the information on the financial aid application (FAFSA or CA Dream App) with the documents provided by the student to verify the accuracy of the application information. These policies are to be used in conjunction with the Department of Education and the California Student Aid Commission (CSAC) verification guidelines. For more information, please visit the Financial Aid webpage. Federal law requires that if you received financial aid and then drop or withdraw from ALL of your classes prior to the 60% point of the semester or if you fail to begin class you may have to repay funds. If you received Federal Student Loans and withdraw, you will pay back the money according to the Federal guidelines of the loan program. If you received Federal Work Study money and withdraw, you do not owe anything back. You will get to keep any salary you have earned while enrolled. 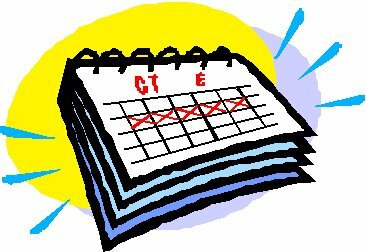 If you are enrolled in short term classes without being enrolled in full semester classes and/or you withdraw or fail to attend those classes, you may be subject to the Return to Title IV calculation. Read the Award Guide for more information about the Return to Title IV policy. Student and parent borrowers may view their federal loan information at NSLDS. Borrowers access the system using their FSA ID and password. Students can also access prior federal grant information at NSLDS. 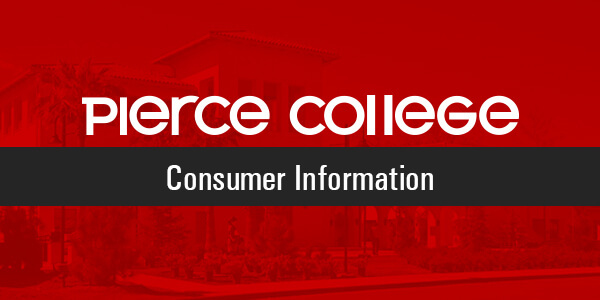 To contact the Financial Aid Office, please email pierce_finaid@piercecollege.edu. The Annual Gainful Employment Records provides information about the careers for which each Career and Technical Education Certificate prepares you, the costs associated with the program, median debt accumulated, and time to completion. Visit our Career and Technical Education (CTE) webpage to learn more about our CTE programs.